can i get my passport on the same day if its urgent ? Yes you can. You must explain your travel plans and have your ticket ready. do they charge extra ? No, they don't charge anything extra to return your old Canadian passport. We are trying to find your hours of operations during the Christmas season. Since we live out of town, we are planning on being in Calgary between December 28 and 31, 2009. Which dates, times, and locations, in Calgary are available. We would prefer the Calgary South location. I have misplaced my old passport, which was soon to be expired. Do I need to do anything about this before getting a new passport? Can a family member bring in my passport when they bring in theirs? I'm flying a month before my passport expires to Vegas for 4 days . Is there a certain amount of time that the passport needs to be active to fly. Is there a phone # I can call for information? Travelling next week with children and husband. Kids passports expire in Sept of this year are we still ok for travel next week even though we are inside of 6 months? Travelling to the U.S. for weekend. I applied for renewal of my families passports last week in Calgary, and was wondering if there was anyway of attaining the new passport numbers before receiving the passports? I'm supposed to be traveling to Seattle with my daughter for a soccer tournament in July, and the travel agent needs the passport numbers to secure the booking by the end of May. I had a really bad experience at the Harry Hays building in Calgary. The security staff was rude as well they added a serving booth and then had my number posted and when I went to the booth she was serving the next person and would not serve me. She then told me I had to take a new number although my number was posted. This is a really bad system and is poorly organized. I could not wait for the next number because I had to get back to work. I would like to see it improved. my 3 year old son is special needs and cannot close his mouth for the photo - what on earth can we do? 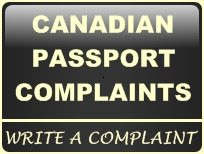 Is there any passport offices open on Saturdays in Calgary, Alberta? When would be the earliest that I can renew my passport. My passport expiry will be in Jan 2017 and visa that I will be applying will be 10 years or up till the passport expiry? Do I need a copy of my marriage certificate to change my name on my passport or can I use my updated driver's license? Your MacLeod Trail (Fish Creek) office appears to be closed now so should be taken it off your business locations ... or add the new location address, if any.